Real quick — one of my favorite bands, Old 97’s, played a special gig at SONAR in Baltimore last night to benefit the Obama campaign in what was referred to all night as “the crucial swing state of Ohio.” I’d never been to SONAR before, but I liked the club a lot, and its entire staff was working for free last night, along with the talent. The merch and the concessions were all donated, too. Whether you bought one of the $20 T-shirts or the $10 event poster signed by all four 97s or just a beer for $4.50 (the same ones you pay $6 for in D.C.), every penny you pried from your wallet was, we were told, to go straight to Obama’s Ohio machine. 97s frontman Rhett Miller and bassist/second singer Murry Hammond each performed a solo acoustic set in the Talking Head Lounge (SONAR’s equivalent of the Black Cat’s backstage) for people who sprang for the $100 tickets. 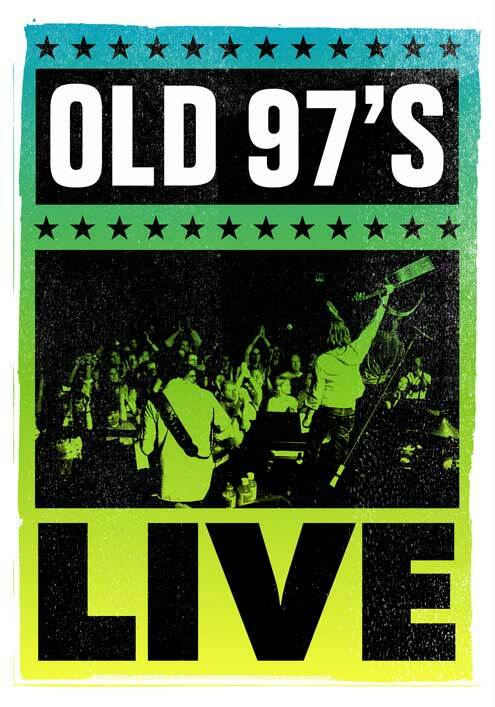 The tix for just the Old 97s gig in the main room were $25. Two Balmer bands opened the mainstage gig, Desert Boys and Caleb Stine and The Brakemen. Neither of them were bad at all. Stine sounds eerily like Jay Farrar, but Uncle Tupelo-era Farrar, so that was no bad thing. It was a fun evening, though I wish the club had been more than half-full. The 97s just played a sold-out show at the 9:30 here in the District six weeks ago, so that plus the fact that it was a Monday night might have depressed the turnout a bit. Their set was on the short side for them, at a mere 20 songs, but that was forgiveable given that Murry and Rhett had each performed a solo set beforehand, and anyway, the band’s actual performance absolutely smoked. For me, though, the evening’s clear highlight was the interview Murry gave me about his fine new solo album, I Don’t Know Where I’m Going but I’m on My Way, and about the origins and history of the 97s. We spoke for about 20 minutes before his solo set, and then he actually came and found me after he and Rhett were finished so I could ask him the rest of my questions. Hell of a nice guy, he. I’ll be posting the interview on DCist probably late next week, in advance of Murry’s solo gig at IOTA on Monday, Sept. 22. I’ll see y’alls there. This entry was posted in Baltimore, boosterism, interviews, music, songwriting, Texas and tagged Murry Hammond, Sonar. Bookmark the permalink. I completely agree; the band smoked. I think they are incapable of putting on a bad show. Murry is indeed a true gentleman and I look forward to seeing your interview. Actually, St. Ignatius was not performed at the show and Alone So Far was the ninth song in the set. However, Rhett did peform a short version of St. Ignatius, along with Elvis Costello’s Brilliant Mistake, during the soundcheck for his acoustic set. As an aside, Victoria was to be performed after Color of a Lonely Heart is Blue but Rhett called an on-stage audible and dropped the tune. Lastly, hats off to Ken who stayed on stage for ten or fifteen minutes after the show and talked to the fans. He was thanking everyone for coming and posed for pictures with anyone who asked.